Think your visitors can't be swayed by amazing towels? They can and will when you choose the right white bath towels for your hotel or resort! Our premium bath towels have the construction you need to wow everyone who stays at your facility. Made of 100 percent cotton fibers, these are the only wholesale white bath towels you'll ever need to ensure everyone who stays in your rooms or suites leaves with a better experience. Why leave impressions to chance? 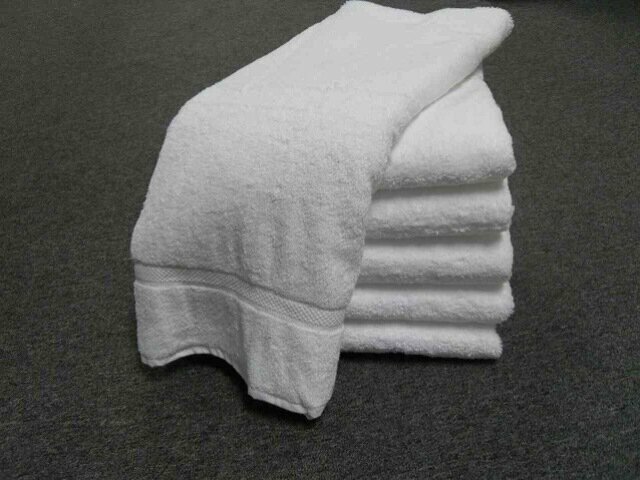 Increase the chances of a terrific online review, personal referrals or repeat business by stocking all your private and public areas with fluffy, beautiful white bath towels from Towel Super Center. Feel as if you're always restocking your resort's or hotel's supply of white bath towels? Not only is that frustrating, but it's budget-breaking! Instead of worrying about how much you're spending on wholesale white bath towels, choose the right ones from the start. Towel Super Center has chosen these premium bath towels for their superior construction. You can rely on them to hold up use after use without falling apart, fraying or losing their natural absorbency. 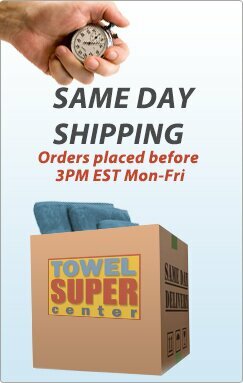 What could be better than having white bath towels working hard for you? Want to have a resort experience in your own home? Now, you can. 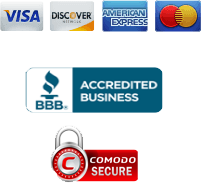 And you can get the same wholesale discounts on white bath towels that your favorite hotels do. Towel Super Center allows you to buy as many units of one dozen premium bath towels as you need for all the spaces in your house. For instance, are you looking for a premium bath towel for every bathroom in your home? 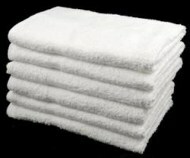 Towel Super Center is a leading provider of wholesale premium bath towels at incredibly affordable prices. By partnering with us, you can ensure you have the best bath towels in the neighborhood while still being budget-friendly. Our premium bath towels are available by the dozen. The more you order, the more you save. Start shopping today! You and your family members need soft, thirsty bath towels to use after hot showers, bubble baths and pool swims. 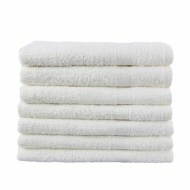 Cotton premium bath towels feel luxurious against even sensitive skin, and are ideally sized at 24 inches by 48 inches. Wrap yourself in the comfort of cotton fibers, and get dry while feeling pampered. If you feel like you’re always buying new bath towels, it’s time to invest in our wholesale premium bath towels in white. One of the appealing aspects of cotton is that it’s very strong. As you use your cotton bath towels, they’ll hold up, wash after wash. To keep them looking great even longer, try washing them with a bleach alternative, rather than bleach. Every home deserves a taste of luxury. 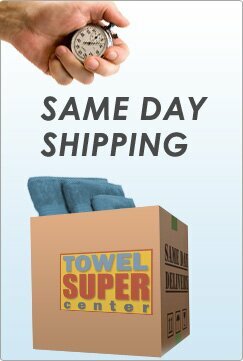 Make sure yours has premium cotton hand towels from Towel Super Center. You can purchase as many or as few as you need to outfit every bathroom in your house, from the guest bath to the master bathroom to the kids’ bath area.